Liberia’s national Under-20 team will face the Ivory Coast in the next rounds of qualifers of the Confederation of African Football (CAF) Youth Championship after the continental body ruled a protest case in its favor. The Liberians filed a protest against their Gambian opponents for fielding five overage players during the latter’s recent 1-0 shock win in Monrovia. According to the communication addressed to the Gambia Football Association and copied to the Liberia Football Association (LFA) dated April 20, 2014, the return leg in Gambia was cancelled with Liberia qualifying to the next round. A September 2, 2013 circular was used as a reference to disqualify the young Scorpions of Gambia, according to CAF. That rules says only individuals born on or after January 1, 1995 were eligible for selection to feature on the Under-20 team, but the LFA discovered that five of the Gambian players used against Liberia were all born in 1994. A player of Gambia Ali Cole is currently being investigated by CAF for registering two birthdates, while Gambia is to face further punishment from CAF for their wrongdoings. Gambia has the right to challenge the CAF Protest Committee’s decision. With news that the protest case has gone in favor of Liberia, coach Kaetu Smith now has another task on hand to redeem himself after performing below expectation with the senior national team when he returned two years ago to Liberia from the United States of America. 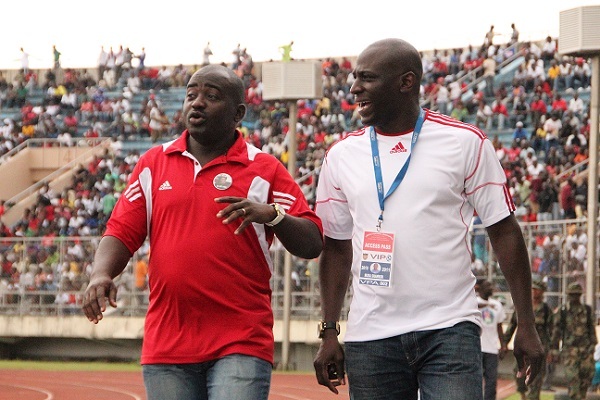 Meanwhile, the president of the LFA Musa Bility, in a Facebook post, recently threw out a challenge to Liberians everywhere to become a part of the reconstruction of the country’s national teams. Bility wrote, “As we commence the reconstruction of our new National Teams, the LFA is kindly asking all Liberians around the world to please provide to us information about Liberians playing football around the world. “We are especially seeking those who have not played for Liberia before and are under the age of 27. We will also appreciate new information about current players who are actively playing for their respective clubs. We will appreciate names, emails, and phone numbers.